Several different display options that have different borders, shadows, title palcement etc. 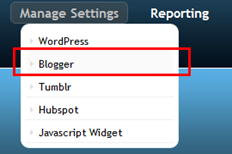 On Blogger, nRelate Related Content works like a charm, the installation is quite easier than Linkwithin reason being that it gives you options as to where you want your widget to display. Linkwithin has a major flaw in this regard. I had to manually configure it’s placement on this blog and I am pretty sure it would prove difficult to people who know so little about HTML and it’s associated application. The most astonishing part of nRelate Related Content which I love is the Re index Options: You can easily reindex Nrelate if you have customized,deleted or changed the post. All you need to do is click Reindex your site management and within a few hours, the job is done. The feature is however missing in linkwithin. I am still using the Linkwithin widget on this blog because today I am too lazy to reinstall another widget but I am pretty sure when I can find the time I should get the widget running here. You can download the nRelate WordPress plugin here and visit their web site to grab code for Blogger or other platforms. The installation is pretty simple, if you follow the instructions available on the developer’s site, you should have the widget syndicating your posts in less than 2-hours after installation.